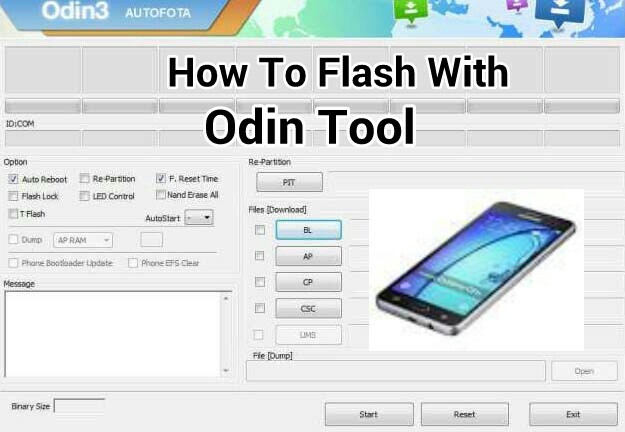 Same way you flash or install your Android device stock Rom with an SP flash tool, that’s how you do same with ODIN Flash tool too. In this post, am going to be showing us how to flash specifically SAMSUNG Android devices using this tool called Odin. So, as long as, you are using any smart Samsung device, this post will go along a way to see you through in flashing its stock Rom. Now, let’s get down to steps for Flashing Stock Samsung ROMs using Odin flash tool. Remember, you need to get the specific firmware for any Samsung device you wish to flash; this is for you not to brick your android phone during the process. So with this method, you can flash the OTA updates manually. It is safe and secured for manual update of your device for any official release. I consider Odin as a must have tool for everyone using Samsung device. This tool as you may know, is a Windows-based ROM flashing tool directly from Samsung company for Samsung smartphones and tablets. The tool can be used by Samsung users to carry out so many activities like flashing custom ROMs, Official OTA Updates, kernels and many other similar files manually. Before we get started on How To Install a Stock Firmware Using Odin, you should ensure to get the right firmware according to your Samsung device’s model number. Ensure to follow the steps as stipulated in order to avoid any sort of device failure or malfunction. As Techbmc will not be held responsible for any damage caused to your Samsung Android device. So do it at your own risk. · Ensure your device has more than 50% of battery, if not, charge to get full. · Get Samsung USB drivers installed on your PC before proceeding. (You can Download Samsung USB Drivers for Windows or Mac Here. · Download latest ODIN Flash Tool for both Windows and Mac Here. · First and foremost, you need to download the right and specific firmware for your device’s model number. Incase if the file is in .Zip format, just extract it, to get .tar or .tar.md5. · From the above provided link, download and Unzip Odin 3.12.3 .zip (or you can go for Latest Odin) file and then run/open the odin.exe file from the extracted files using your PC. · Now, connect the phone you want to install or flash to your PC through the use of USB cable, when you do that, Odin will notify you with an added message. · Do not interrupt while the flashing is processing to avoid bricking. · Your device will reboot after a successful processing. Got any question or contribution regarding to this post, kindly use the comment box below.